With just two prior titles under its belt, developer Supergiant Games has managed to do quite a lot with a small resume compared to many other studios. Yet even with just two games, both Bastion and Transistor left some big impacts critically, commercially, and artistically, making it not only exciting to see what the studio will come up with next, but intriguing to see how they can top two excellent isometric games in a row. 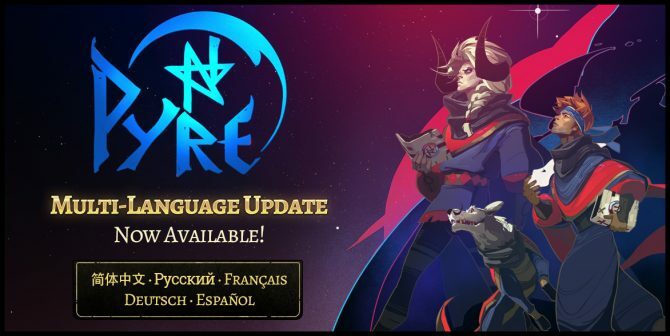 Just a few days before last weekend’s PAX East 2016, Supergiant Games surprise revealed its latest project, Pyre, which will be releasing in 2017. 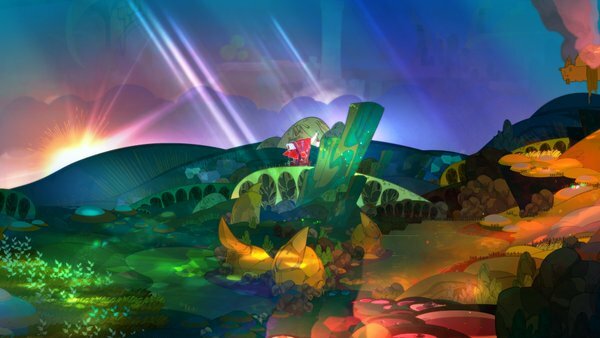 Coming from the world of isometric RPGs with Bastion and Transistor, Pyre very much feels like a part of the studio’s identity from a visual sense, but gameplay-wise is a pretty radical (and intriguing) departure from the studio’s previous games. Even more so, it’s probably the closest I can think of to playing a turn-based RPG sports games, which in many ways is the closest idea I can think of to describing just how Pyre plays. 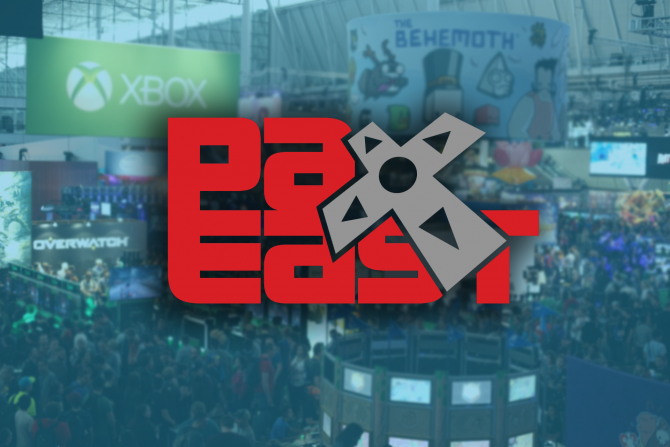 During our time at PAX East 2016, we had the chance to check out and play a demo of Pyre at Supergiant Games’ booth for about a 15-20 minute session. As a big fan of the studio and its previous games, I came into the demo certainly having some anticipation of seeing what the latest project from the studio would be. However, I was not at all expecting how Pyre is presenting something pretty wild and different (in a good way). 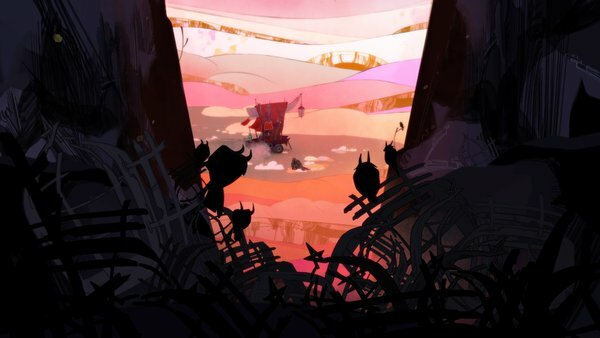 Pyre follows a trio of exiled sorcerers roving across mystical lands (in a wagon, Oregon Trail-style): a giant, horned behemoth named Jodariel, the sorcerer Hedwyn, and their doglike companion Rukey. From there, the demo alternated between segments with the group “battling” other exiled magic users in fast-paced, magic-wielding matches to extinguish the enemy’s pyres and cleanse their souls, and traveling between areas and stopping the wagon to train, find food and supplies, and manage the abilities of your characters. 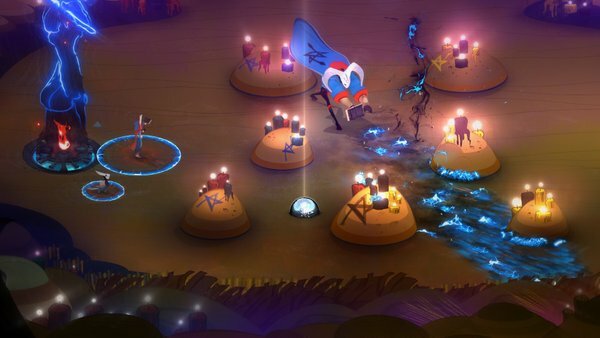 The closest comparisons I can make to Pyre‘s gameplay would be a mix just somewhere in-between The Banner Saga and what plays more like a wildly-competitive sports game: almost like if Rocket League were turned into a vivid, real-time RPG. In the case of Pyre‘s combat sections, players start in one of the matches (called “Rites”) with all three of their playable characters pitted against another team of three exiled sorcerers on two opposite ends. Each end of the map houses the opposing teams’ pyres, with a glowing orb in the center acting as the ball that players will use their characters to grab and fling into the enemies’ pyre, deducting from their hit points and claiming victory once the HP count hits zero. In the broadest terms, Pyre is the RPG version of basketball or rugby. However, despite that being the simple explanation, Pyre adds more depth by having players each utilize all three of their characters strengths (and overcome their weaknesses) to successfully shoot their orb into the opposing enemies’ pyre. Each of the characters can freely move around the map with a set of additional abilities (like a dash or run), and the ability to cast a sweeping spell that can take out enemy players temporarily. 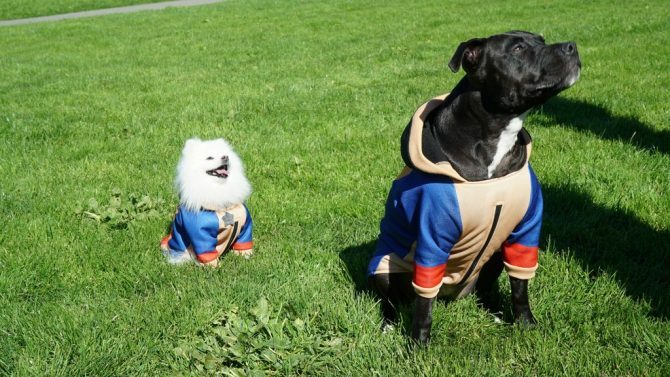 However, the real strategy comes in to understanding how each of the three characters plays. As their sizes indicate, Jodariel is a lumbering character that plays great defensively and can dole out damage easily, but suffers in movement speed. The nimble Rukey moves the fastest and can weave in an out of areas easily, but lacks the strength or casting ability of the other characters. Hedwyn falls somewhere in the middle in terms of speed and casting strength compared to the other playable characters. Successfully winning a Rite requires players to think strategically, as players can swap between any of the three characters and, once the orb is claimed, can pass the orb to a teammate within a viable distance. As the character holding the orb can’t cast spells or defend themselves against other players (leaving them vulnerable to being temporarily vanished by an enemy spell or attack), the game of Pyre comes down to effectively switching between characters, defending against the enemy team, and finding the fastest, most efficient way to scoring in the enemy pyre. How that happens comes down all on the player’s style of play. Faster-paced players may want to opt for using Rukey or Hedwyn to get scores in quickly (at the expense of only doing one or two points of damage each attempt), while others looking to maximize goals can use Jodariel for three points per goal at the expense of movement and having to play a more defensively-driven game. 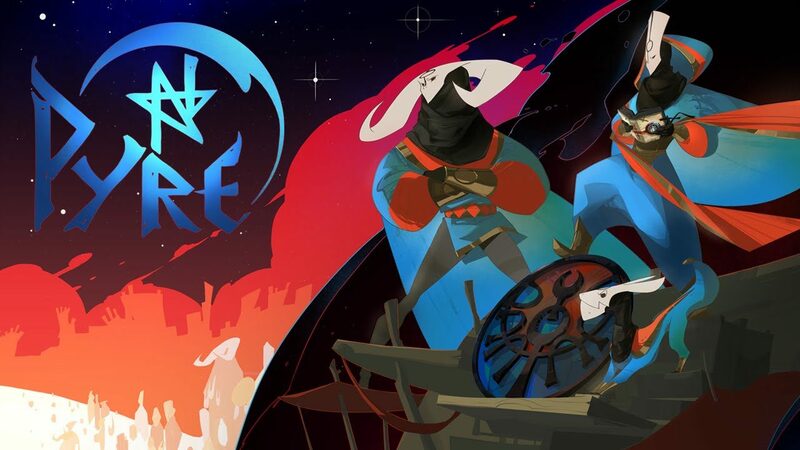 Switching between the fast-paced Rites and the more story-driven exploration segments with the wagon, Pyre looks vivid and imaginative as much as its gameplay is wild and different from anything the studio has made before (or even compared against most other real-time RPGs). While it took me a little bit to really gel into Pyre‘s gameplay, what I played was nevertheless addicting and engaging, on top of the game being a clear step-up visually from Supergiant’s previous games. 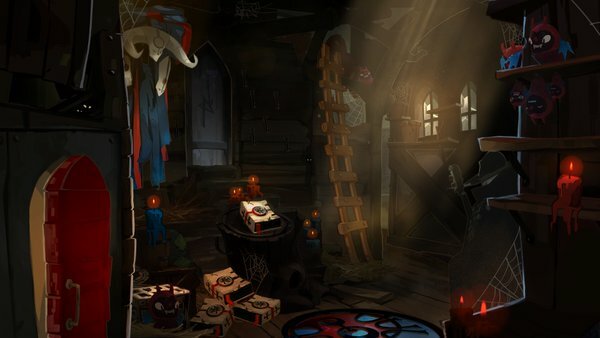 However, that’s not without losing the sense of intrigue and mystique that the studio has been known for in their first two titles, and Pyre‘s unique lore and cast of characters certainly made me want to delve deeper into its story and uncover more about these characters, their banishment, and what lies in the road ahead for them. Pyre is certainly a more unusual concoction compared to Bastion or Transistor, yet it still presents the bold art direction that I’ve come to love from the studio (and that has made them stand out in the indie world) and willingness to go in a pretty new direction. Edging away from the twitchy, shooter action of Bastion and the more turn-based approach of Transistor, Pyre so far is a pretty exciting and vivid new game from a studio that’s been known for not being afraid to be bold and different, and so far Pyre looks to break the mold with style. Pyre will release for PS4 and PC in 2017.